Progress in artificial intelligence and big data can save municipalities considerable cost and lives. 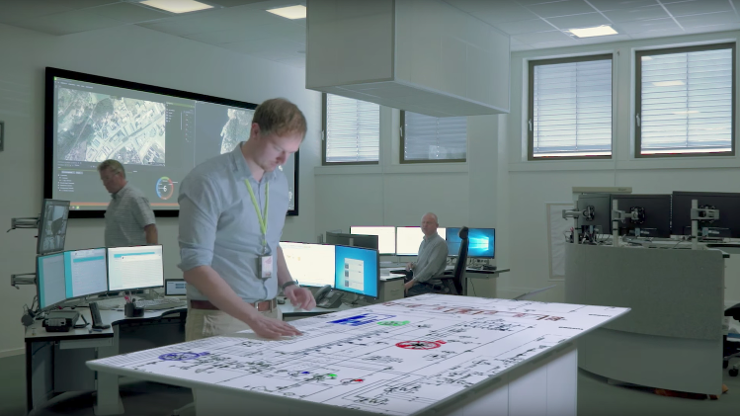 "Intelligent control rooms" make local response centers so effective they can predict traffic jams, accidents, and pipe leakages. Hockey legend Wayne Gretzky said, "A good hockey player skates to where the puck is. A great hockey player skates to where the puck is going to be." Applying this to municipalities, until now, all control centers could only react to what they see has happened. With AI and machine learning, today's control centres can predict where things like weather, traffic, air pollution, water distribution, etc. are all going, and get there before they do. The difference between good and great control centers is now the difference between costs and savings, and could literally be life and death. Until recently most response centers have been solely reactive: When a disaster or accident happens, available resources are dispatched to the scene to help as best possible. Response Center 2.0 is proactive – enabling crews to make predictive analyses (based on big data and AI) that foresee disaster or accident events and initiate proactive measures. This is a quantum leap for Norwegian municipalities, both with regard to cost savings as well as the health, safety, and welfare of its citizens. So, what does this response center look like, and what scenarios can we envision being played out here? Imagine an interactive wall – a massive, smart and interactive municipal dashboard - visualizing "everything" happening in your municipality or city right now. From this dashboard, you can see traffic flows; easily monitor the status of water, sewage and power; supervise air quality, and display other important indicators. The information on the interactive smart wall shows real-time data derived from sensors (traffic, water, sewage, power) and social media (mentions of the municipality and photos of incidents). Data are visualized in an intuitive interface providing your team with a full and live overview. It better equips response teams to initiate measures when something happens and, more importantly, it enables you to uncover patterns, identify bottlenecks and determine weak spots so you can intervene to prevent undesired incidents. Is your municipality hosting a big concert or festival? Maybe a bicycle race? The interactive wall lets you simulate what traffic flows will look like during a specified period, allowing you to make informed decisions on how you should direct traffic. You can even simulate traffic accidents to forsee their impact and better plan for emergency situations. A pressure drop in water pipes triggers an alarm. On the smart wall, you see where the fault lies and can quickly dispatch a response team to investigate and repair. They discover a potentially dangerous leakage in the ground above a shopping center due to excavation activity and are able to stop the leak and start vacuuming the water before it causes damage to neighboring buildings or property. Simultaneously, a text message is sent out to all who live and work in the area. The weather forecast indicates stormy weather tomorrow. The municipality sends an alert through the citizen app encouraging people to stay indoors that day. The response center team updates social media channels with the same warning. Households that are scheduled for garbage and recycling pick-up receive a message telling them that pick-up is delayed one day to avoid damaged waste bins and debris being scattered on roads and in streets. Your team can also follow the social media buzz about the bad weather. The storm, which has uprooted trees and knocked down power lines, is being documented by citizens with photos and videos on Twitter, Facebook, Instagram and YouTube, giving you a vital snapshot of the situation and a useful tool for ground workers in the cleanup phase. As Chief Administrative Officer or Head of Department, you undoubtedly see the value of this type of interactive monitoring and planning tool, and I am certain that you can come up with several other scenarios than those described here. If you think this is something you should implement in your municipality, the good news is that there is no shortage of competence in the market. One piece of advice: You will never succeed with a smart city concept if you outsource the entire project to a third party – be it eSmart or anyone else. What we bring to the table is our expertise in data science and artificial intelligence. You have the domain knowledge. The sweet spot lies in the intersection of these three areas of competence. Stephan was prevously Chief Commercial Officer at eSmart Systems. 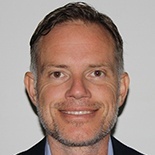 He holds an MBA in Business from Groningen University in the Netherlands and has more than 15 years of experience from sales and partner sales roles in Oracle and Microsoft. Currently he works in Telia.